Costs – With Omaha, Nebraska’s public utilities company giving away trees to increase energy efficiency, it’s important to take care of them in the long run and keep the efficiency up. We have the statistics on maintenance so you know what you’ll be spending to save energy. FAQs – The Great Plains of Omaha have a lot of interesting facts when it comes to the trees it can support. Learn more about the state tree, what tress thrive in the plains environment, state regulations regarding power lines and trees, hardiness by zone for trees, and more! Services – Now that you have all this great information, get a specialist out to your house to make the facts into an organized plan so you can get a tree growing quickly or staying healthy on your property. How Much Do Tree Services Cost in Omaha? In March 2013, utility customers in Omaha, Nebraska were given the option to reduce their energy costs by getting free trees and planting them. Planting them was only the first step, though. Maintaining those trees yields the long-term energy efficiency benefits for residents. We have the statistics on tree maintenance and removal below. If homeowners in Omaha have to remove a tree, they’re going to spend between $357 and $493 on the venture, with an average quote of $425. This will take into account the height, circumference, branch patterns, and hours of labor that will go into taking it down. Stump removal will cost around $140 and involves the stump being grind down into wood chips far enough close to the ground that grass can grow over it, which is otherwise known as stump grinding. Stump removal, wherein the root is pulled out of the ground, will cost between $200 and $300. Maintaining trees in Omaha will probably cost homeowners between $250 to $350 depending on the nature of the job, how many trees needing pruning, insect and disease control and so on. Tree service professionals will usually come out and give an estimate without charging for the quote. Did you know Nebraska’s state nickname used to be the “Tree Planter’s State”? Just because it changed the nickname in 1945 doesn’t mean residents of Omaha cannot continue to plant trees and keep their city healthy and green. Learn more about the city climate and what can be done to continue greening it with trees. 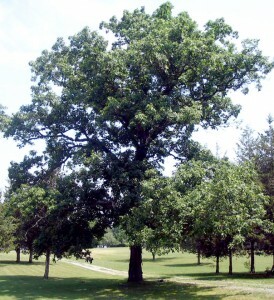 In Omaha, the best time to remove a tree is during early fall to late spring. The tree has gone dormant and won’t be sprouting new branches or leaves, which means it will be easier to remove. Schedule a time either in September or April with a tree service specialist to have a tree removed on your property, unless the tree is diseased. 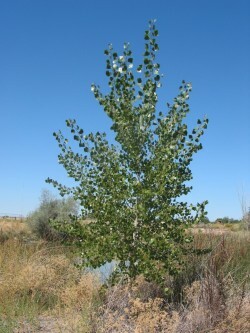 The cottonwood (Populus deltoides) has been Nebraska’s state tree since 1972. Several famous early landmarks in the state were cottonwoods, and you can see them everywhere in Nebraska. The cottonwoods have leaves in the shape of diamonds or triangles, and they can produce wood for use within just about 10 years. Omaha has extreme winter conditions, which means some fruit trees cannot grow in its climate. Those that thrive through the winter and into the spring include choices like apples, pears, sour cherries, and plums. These can withstand the cold and produce great fruit for the home gardener. Dutch elm disease, which is a fungus infection causing rapid wilting and eventual death of elm trees, is one of the major diseases in Nebraska. Another is simply drought. 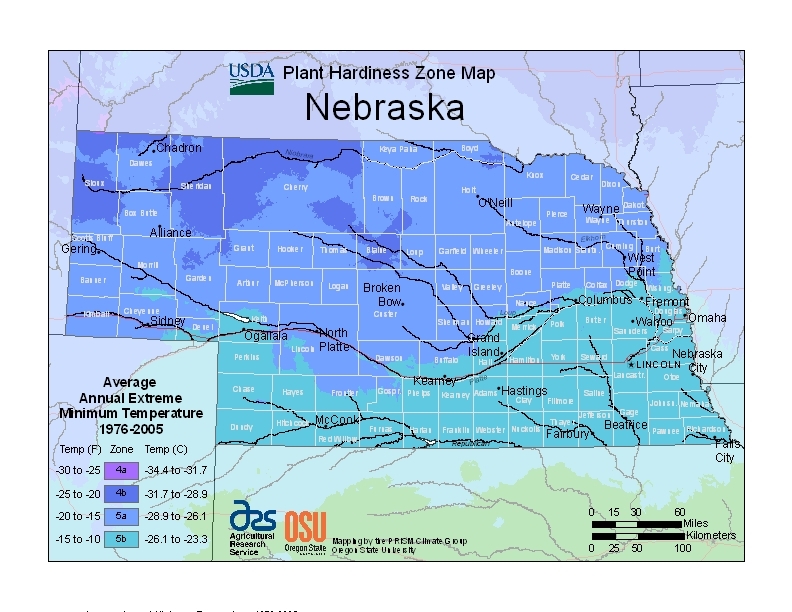 Since climate change occurs in Nebraska and gets warmer, many of the trees there don’t get enough moisture and start to wilt or die because they need the water. Diplodia tip blight is a fungal disease that causes pine tree branches to start turning yellow and die if the branches aren’t cut off ahead of time. Pine wilt is another disease that attack pines trees in Nebraska and causes them to wilt and eventually die if they’re not pruned. It’s required by state law that residents call the Omaha Public Power District’s Digger’s Hotline before planting a tree so they can mark where the utility lines are. The utility company also comes around regularly to trim vegetation from around the power lines to avoid outages during storms. Services Offered: Tree Removal, Tree Trimming, Stump Removal, Arborist Consultations, Tree Pruning, Tree Health Care, Injections, Mulch Sales, Firewood Sales, and Free Estiamtes. Licensed and Insured Arborists.